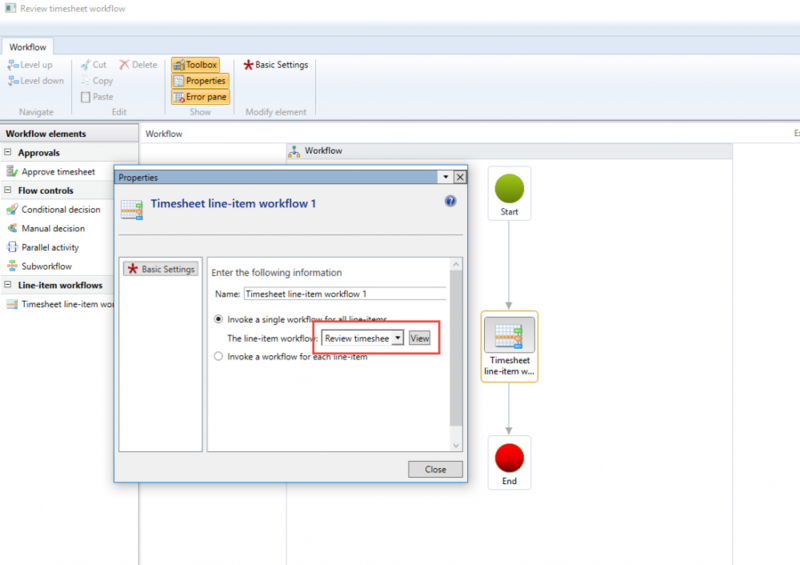 *This section details the workflow required to be configured in order to use the line level timesheet approval feature. Create a line level timesheet workflow that has approvals done for each line and then create timesheet approval workflow. 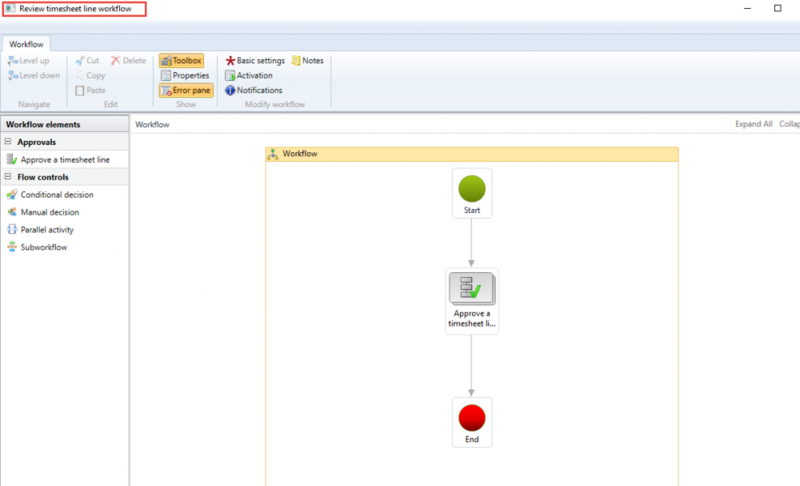 It then invokes the line level workflow from the timesheet workflow. Note: There is no change to the standard workflow setup.